I made this in abot 45 minutes, tell me what you think . By the way what did you use to draw this? I thought I would be a total noob at this . 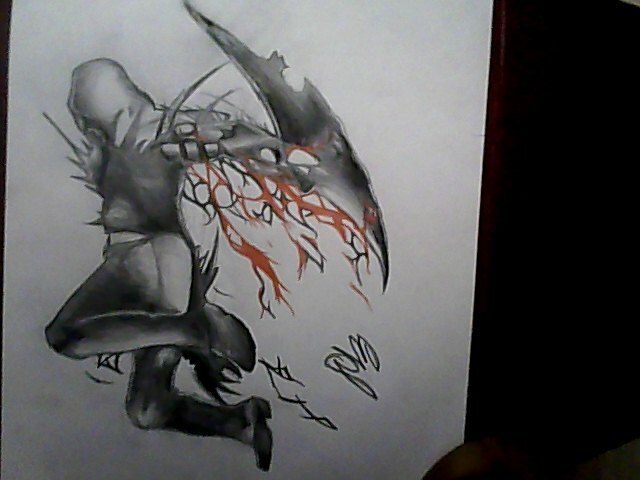 I used a simple pencil, black pencil crayon, black marker, and a red pencil crayon. No one has noticed this but his body is just done all wrong. Holy damn Flip, that looks fantastic. Great work man, the shading looks very good! Thanks I'll try and keep uploading .